We’ve got to be real. We’re throwing a party to celebrate Velocity and the artists that make this place. 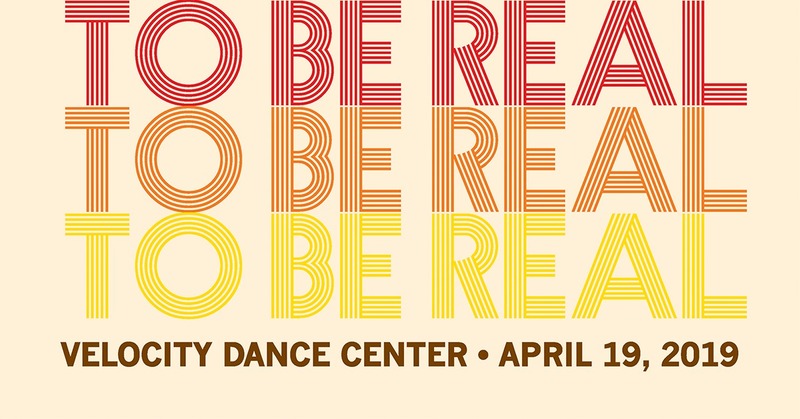 To get real about our hopes and dreams, and to together support this home for dance in Seattle. Join us for pop-up performances, craft cocktails and small bites. We promise some magic and a bit of boogie. And this year we’ll also be celebrating our new Executive Director and leadership team, and toasting to the next big moves for Velocity. Your love is our love, and our love is here to stay. ARE YOU AN ARTIST CONNECTED TO VELOCITY? IS IT ABOUT DAMN TIME TO TREAT YOURSELF? ENTER OUR ARTIST RAFFLE FOR A CHANCE TO WIN FITNESS MEMBERSHIPS, RESTAURANT GIFT CARDS, + MORE LUXURIOUS PRIZES! Making life as an artist requires hard work, but it shouldn’t be punishing. Artists are so often the last person to allow themselves a nice cocktail to celebrate a grant, a much-needed dance or fitness class, or the equipment needed for quality work documentation. In this silent auction, Velocity wants to uplift artists as human souls and bodies and provide them with some TLC. Attendees to the BASH will bid in a silent auction to gift these prizes to randomly selected artists. ATTN ARTISTS: Entry in the raffle is FREE! And in addition to the chance to win one of the packages below, you can also win free entry to the bash! Don’t wait, say yes to some self-love realness by entering today!